Fall brings visitors to the High Country! 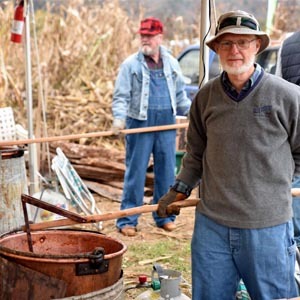 The area's signature October events combine the best in regional arts and crafts, food, and activities, set within the ambiance of our beautiful fall colors. The Valle Country Fair celebrates its 40th-anniversary when it holds it's annual showcase October 20th. Event organizers Julie Gates, Ray Lutz, and Bob Gates give a full rundown on this year's event on this week’s Mind Your Business, a weekly radio program produced in partnership between the Boone Area Chamber of Commerce and High Country Radio. Click here to listen to a full archive of the interview. Mind Your Business is a weekly production of the Boone Area Chamber of Commerce. The program highlights chamber members and allows for a deeper conversation about their history, impact on the community, and upcoming events. To hear your business featured on the program, contact David Jackson at david@boonechamber.com. Tune in each Thursday at 10am for Mind Your Business on WATA (AM1450/96.5FM).